Home / News / Dutere to BSP, AMLC – Dami Nyo Na Pera, Gutom Pa Kayo? Dutere to BSP, AMLC – Dami Nyo Na Pera, Gutom Pa Kayo? President Rodrigo Duterte in his speech, he wondering how the Bangko Sentral ng Pilipinas (BSP) and Anti-Money Laundering Council (AMLC) could have been corrupted by drug money despite the highest paid government officials. BSP and AMLC were led by Amando Tetangco Jr. he has been the head of AMLC for more than a decade. he is also the highest paid government official with total earnings of 13.957 million in 2015. “I am warning again Central Bank for the second time. It was not until I burdened at them during the NBI, National Bureau of Investigation anniversary and I was there. And I was told by the director na hangang ngayon, there’s no report of this AMLA,” said Duterte. “Kayo diyan, stop corruption. You think that the pay there Central Bank despite of its vault, full of money and you are not still—you’re still hungry? Umalis kayo diyan, I will not allow (corruption),” said Duterte. “I’d like to address myself to the Central Bank guys and the AMLA. Alam mo, I’d like to warn you, to avoid a confrontation between us, Central Bank people….Simply I said, you failed miserably. 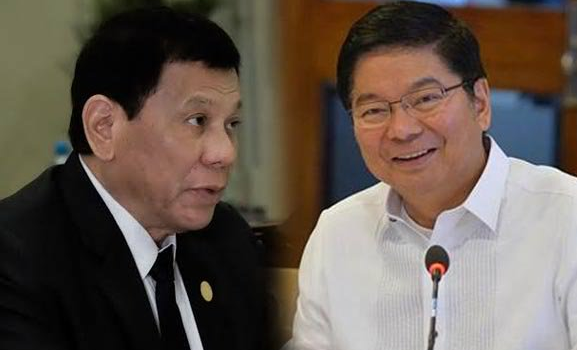 … you cannot tell the public because you are protecting somebody, those who are really into money laundering,” said Duterte. File a criminal cases against BSP and AMLC officials if you have evidence but stop bullying them in public. As a lawyer you should know that the BSP or AMLC cannot provide the names of depositors and the amount of their deposits in a bank without a court order. The President, unless he turns a dictator, cannot compel the AMLC to divulge the name of bank depositors and the amount of their deposits in a certain banks.